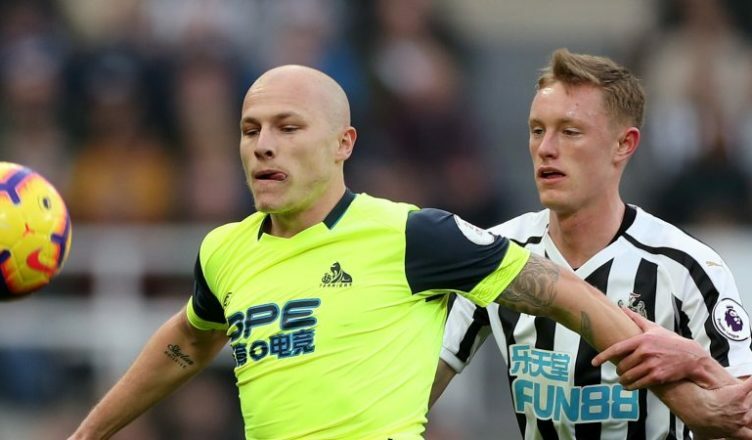 Huddersfield star tipped to join Newcastle this summer – I can actually see this happening.. – NUFC blog – Newcastle United blog – NUFC Fixtures, News and Forum. Australian pundit Simon Hill has tipped Championship-bound midfielder Aaron Mooy to join Newcastle this summer. The Huddersfield star is actually a someone we were linked with last summer, with the Chronicle also stating recently that he’s a player Rafa is fond of – and it’s easy to see why given he’s been their standout performer for a few seasons. “Probably not Celtic because they’ve got Tommy Rogic but you never know. I just wonder whether (a move to Rangers) might be a possibility. “Or maybe somewhere like a Newcastle. We may be overloaded with first-team options in midfield as things stand, but with Hayden still wanting out, Diame out of contract as things stand and rumours resurfacing over a potential move to West Ham for Jonjo Shelvey, Rafa will need another midfielder or two this summer – and I can see Mooy being a target. He’s good on the ball, tenacious off it and possesses a nice blend of work-rate and quality that I can working well in a Rafa Benitez team. Could he be a replacement for Jonjo Shelvey if we do cash in on him this summer? It would not surprise me in the slightest..